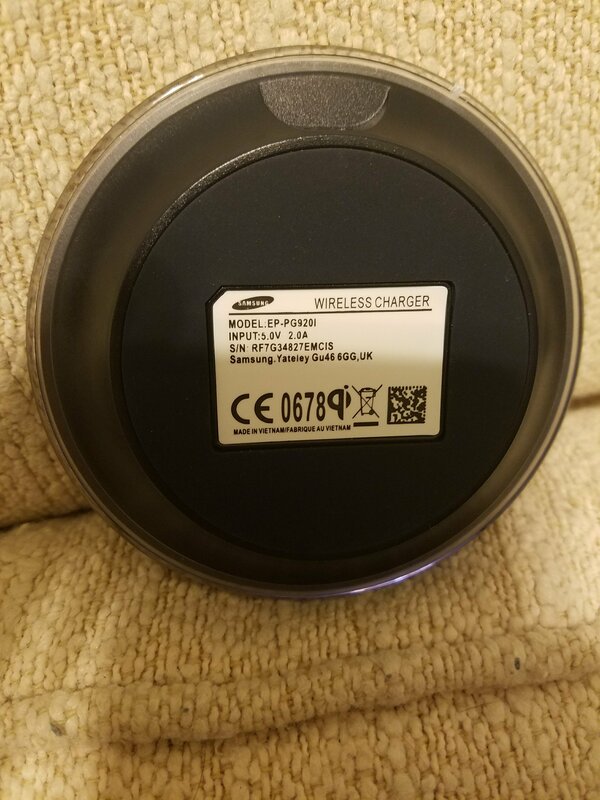 On Black Friday, I purchased a Samsung Wireless Charger on Ebay. 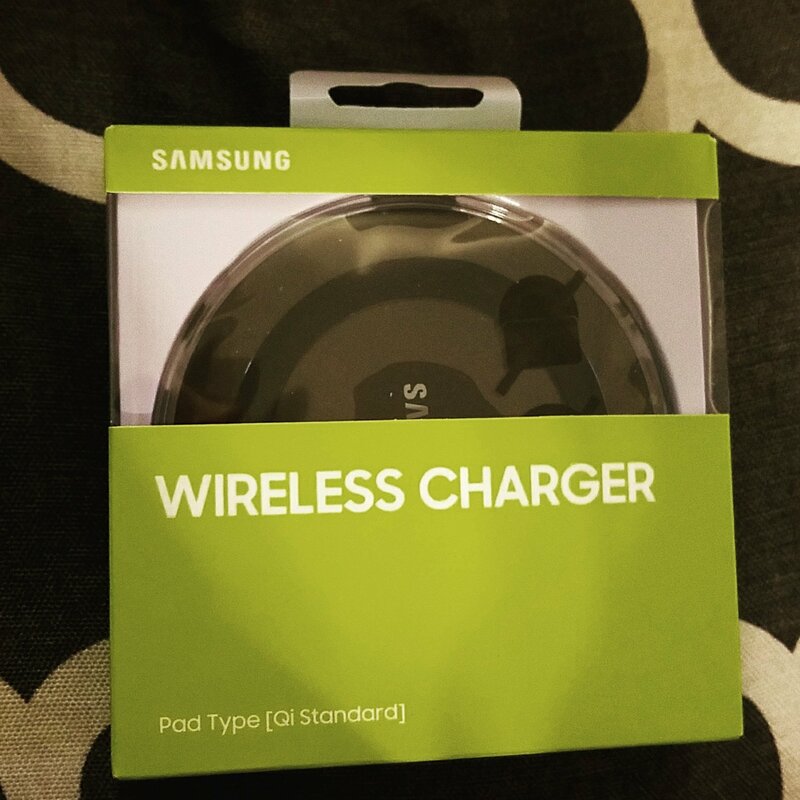 This is a QI Standard Pad Type charger that I came across on the front section of the Black Friday deals on Ebay. While this isn’t a new product or even something I desperately wanted, I went ahead and bought it because it was only less than $10.00. I will probably end up using it at work more than anything. It arrived yesterday from New York and I immediately unboxed it and plugged it in to my Samsung Fast Charge wall adapter and cable. 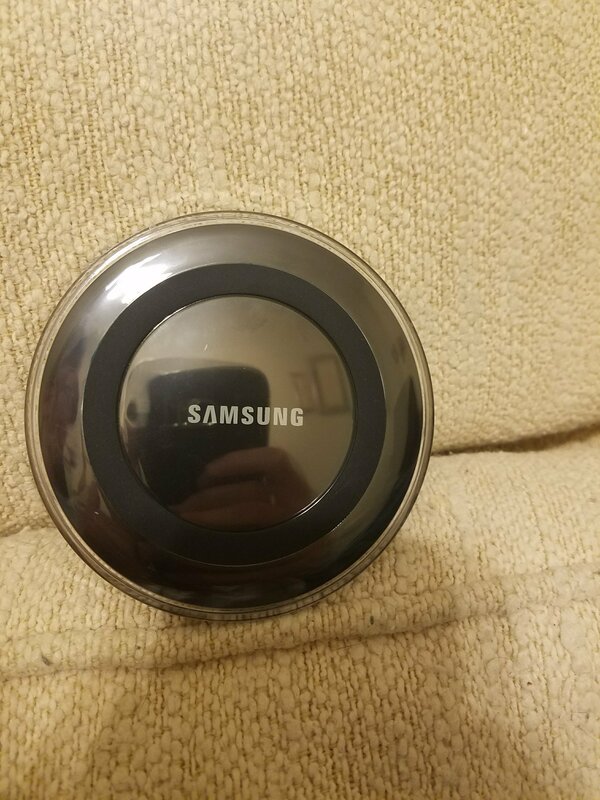 I can’t remember if that’s the original one that came with my Samsung Galaxy S7 Edge or the one we bought at Walmart this summer in Texas, but they are both official Samsung products. There are fakes out there so beware. 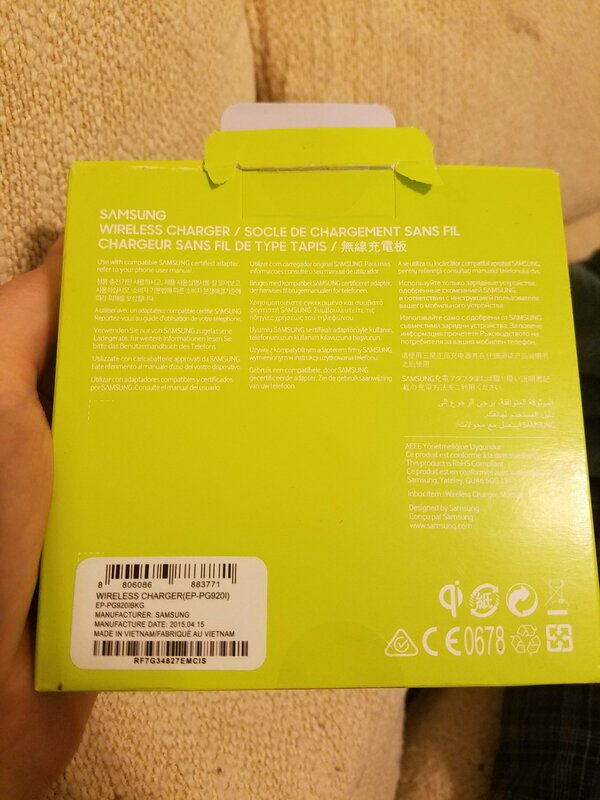 I did some research on this charging pad and from what I can tell it’s also an official Samsung product. Like I said, you do have to plug this pad into your wall adapter, then lay your phone on top. 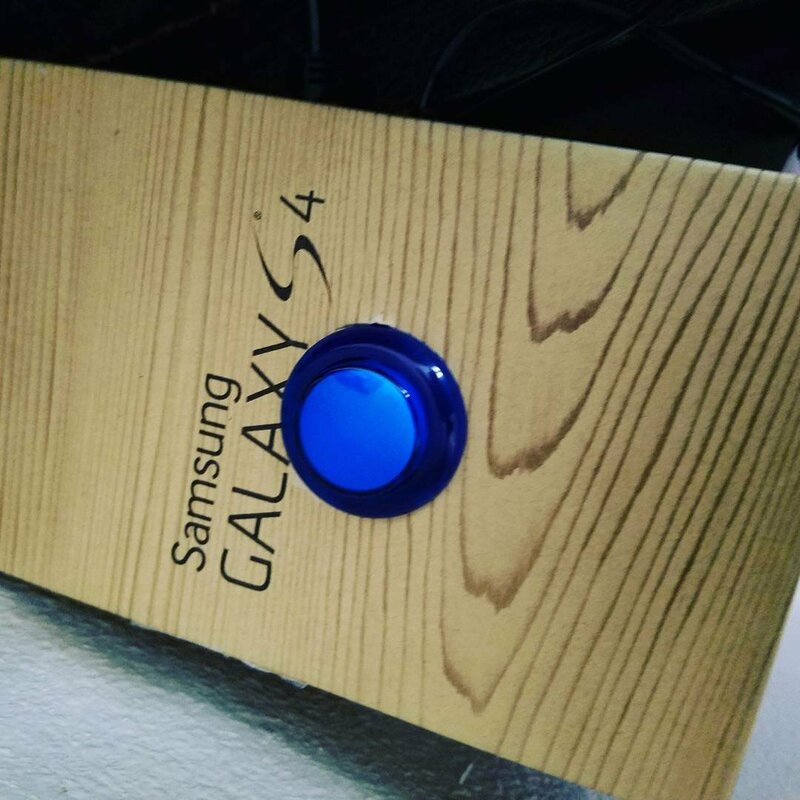 Once it detects your phone, it will light up blue so that you know it’s charging. The light is annoying at night, especially sitting on my glass top lamp night stand. It didn’t fast charge, which is why there is another version made for fast charging, I have used one before when the Galaxy S8 came out. If I am really in a hurry and need a quick charge, then I will just plug my cable directly into my phone, but for something on a desk, I find the pad type charger a convenient solution. I don’t always like fumbling for a cable, especially at night. While I sleep, I don’t mind a slower charge and I like that the light turns green, letting you know that it is finished charging. I would say it took 2-3 hours to get from 60% to 100%. Once I noticed it was finished, I took it off the pad, which was sometime during the middle of the night. When I woke up I was back at 87%. Honestly, for the price, I think this was a great buy. I have seen them originally sell for around $40.00. You can purchase newer models that include Fast Charging for twenty-something dollars but I liked the $10.00 price tag and free shipping. The seller was very fast and shipping was updated often so I could track it. I will post a link to the seller as well. I believe they have some of these left. Normally I don’t purchase Black Friday or Cyber Monday deals, but this was something I didn’t want to pass up. I can always use this somewhere or even let my wife use it. I also like that I can keep my Spigen case on my phone while it charges. This is a pretty cool peice of technology and I would advise checking it out. 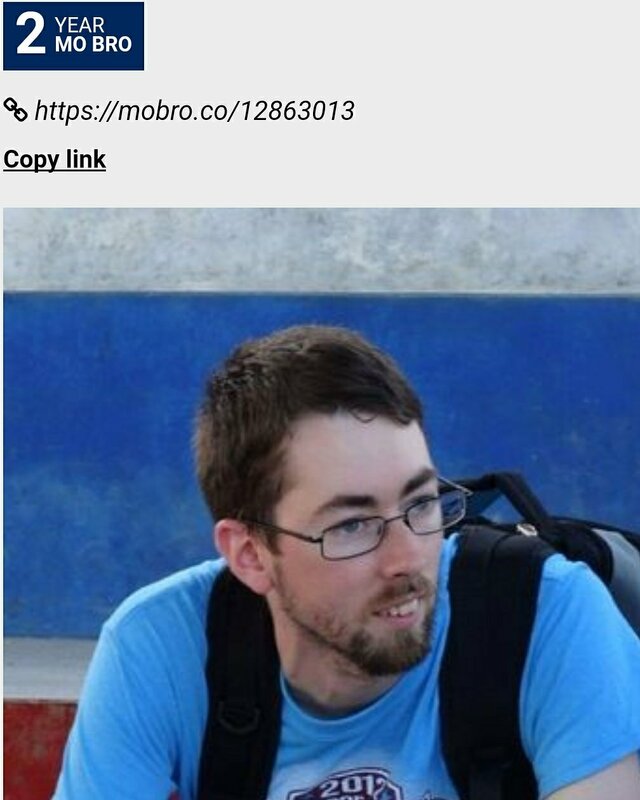 James Virgil Boggs on Facebook! 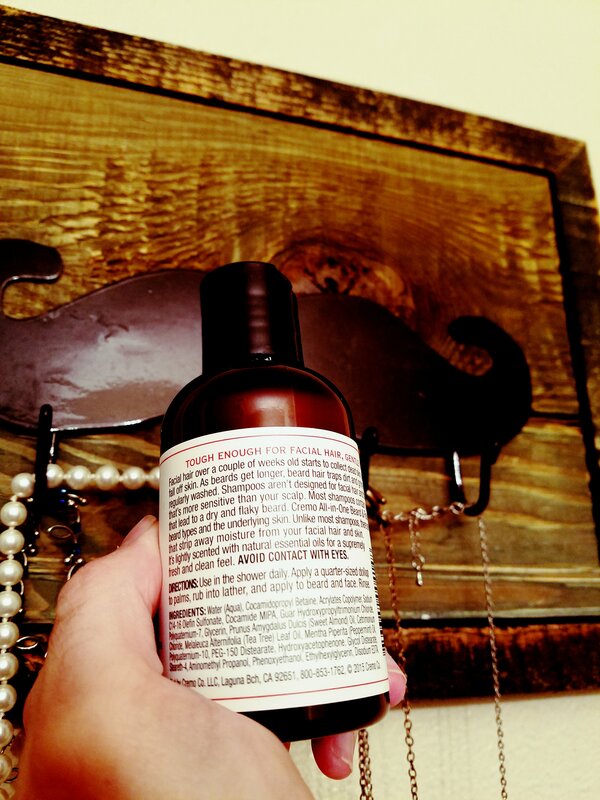 Product review: Beardbrand Four Vices Mustache Wax. Well, we are half way through Movember. You know what that means. The Mustaches are growing! I am actually rocking a beard that I have been growing for about a month. I did trim up quite a bit last week but my mustache was completely shaven on Halloween night. The full beard is even now and this morning I trimmed up the edges of my mustache in preparation for my Mustache Wax that I received from Beardbrand this afternoon. I slightly disconnected the mustache from the goatee but left stubble. I wanted to be able to focus more on the mustache. I am thinking about rocking the Beardstache later on this winter. This blog post is about the mustache wax, so let’s get into it! 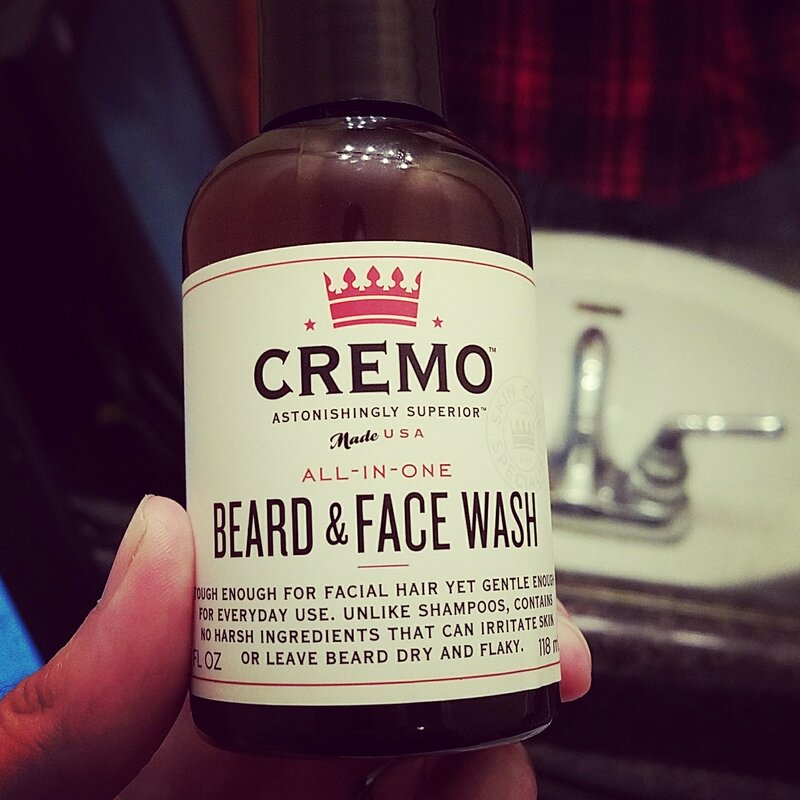 First off, I am a HUGE FAN of Beardbrand. I love the videos from Founder Eric Bandholz as well as Carlos Costa, Jeff Buoncristiano and Greg Berzinsky. They put out a slew of information on growing beards as well as fostering a style of the urban beardsman. I don’t grow the greatest of beards, but I definitely follow their philosophy of growing what you got! 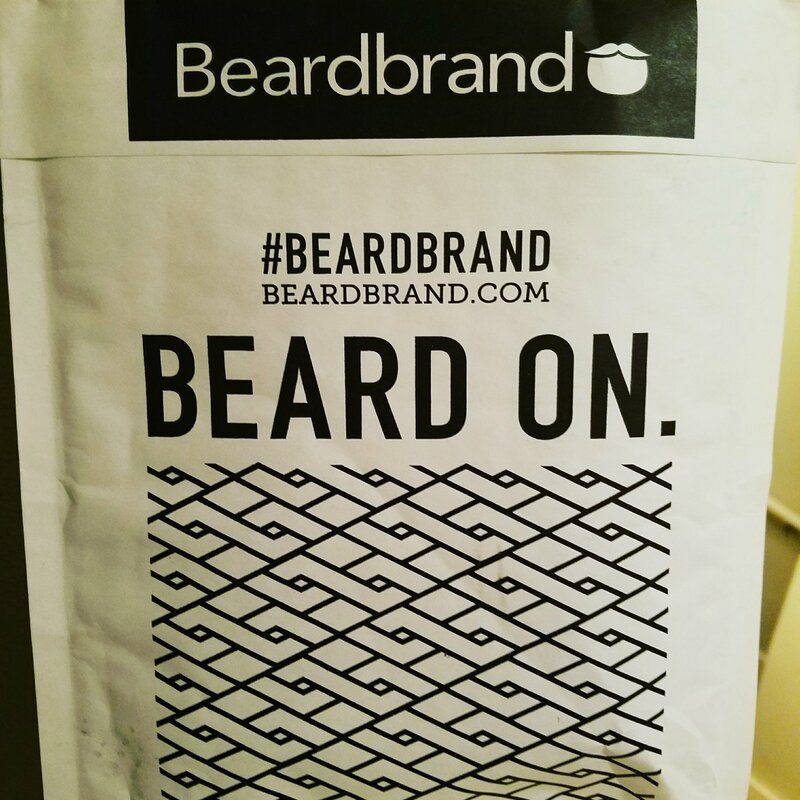 I signed up for emails from Beardbrand and every day I would receive new information and videos. 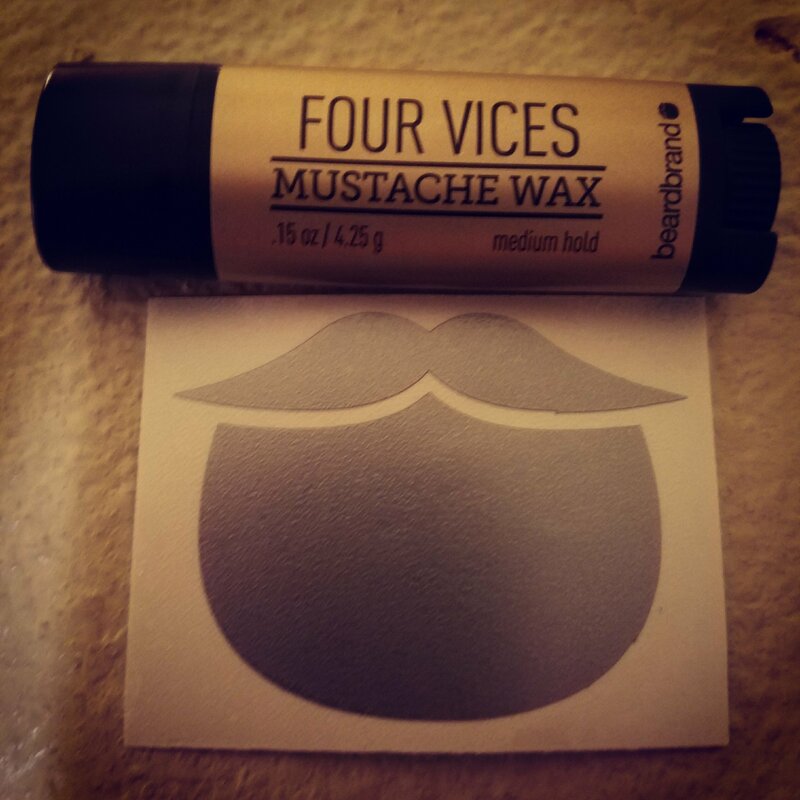 At the end of the ten days, I was eligible to receive their Four Vices Mustache Wax for free with a promo code! I added the product to my cart as well as one of the free digital posters they offer. All I paid was $4.99 for shipping and received my wax within a week. As I opened the package, I found the mustache wax and a vinyl Beardbrand logo sticker. The Mustache Wax didn’t have as much scent as I expected but it was noticeable and not did not deter me away. I enjoy that it is packaged like a tube of chapstick. It fits easily in the pocket for on the go. Much better than the traditional round canisters I’ve purchased in the past. I also like the black and gold labeling. This is a medium hold with natural ingredients like lanolin, cera flava and simmondsia chinensis oil. Not something I’m really familiar with but definitely more premium than other brands I’ve tried. This mustache wax is very easy to apply. Just scrape wax with fingernail and warm between the fingers. I find that it’s very soft and tames those unruly two week old hairs. I notice a slight smell when wearing it, but again not too strong, just enough fragrance to notice it. 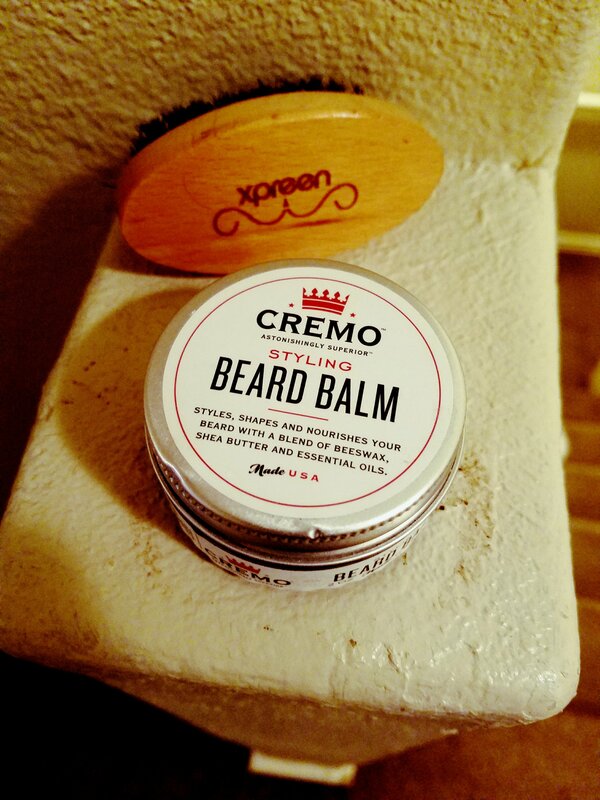 This is the first product that I have purchased from Beardbrand and I am not at all disappointed. I definitely recommend this company and that you subscribe to their YouTube channel. 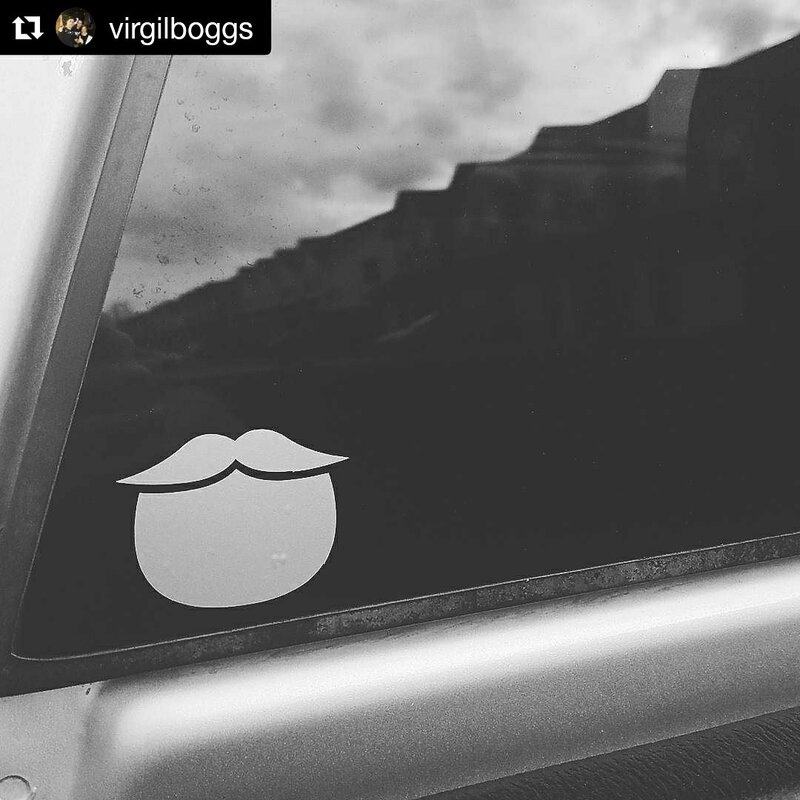 Beardbrand is changing the way Beardsman are viewed by society. I will link a video to one of the videos from Eric Bandholz with the mustache wax. 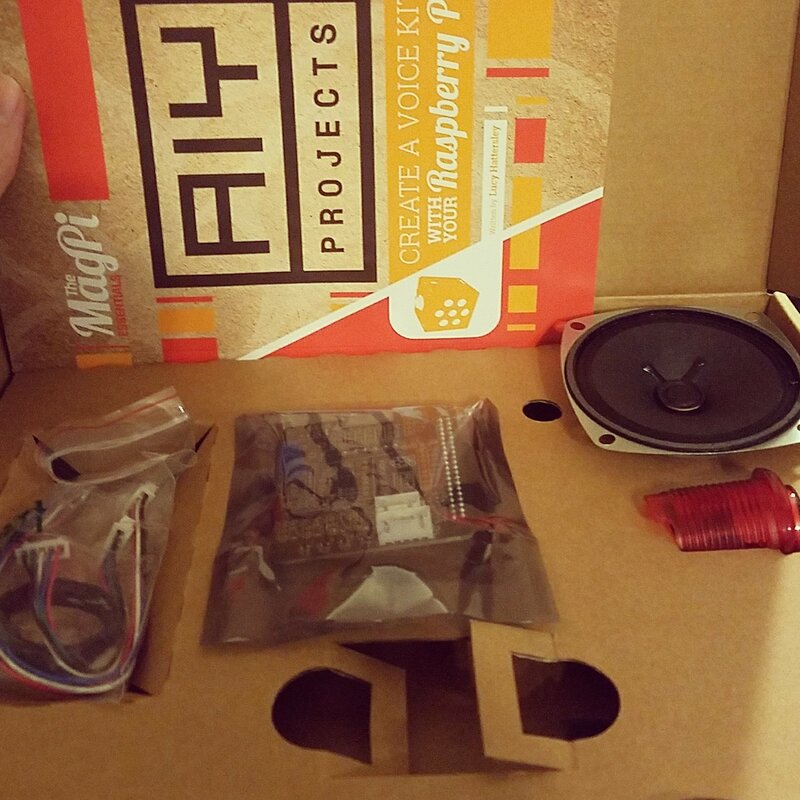 Google AIY Projects Voice Kit from Micro Center. 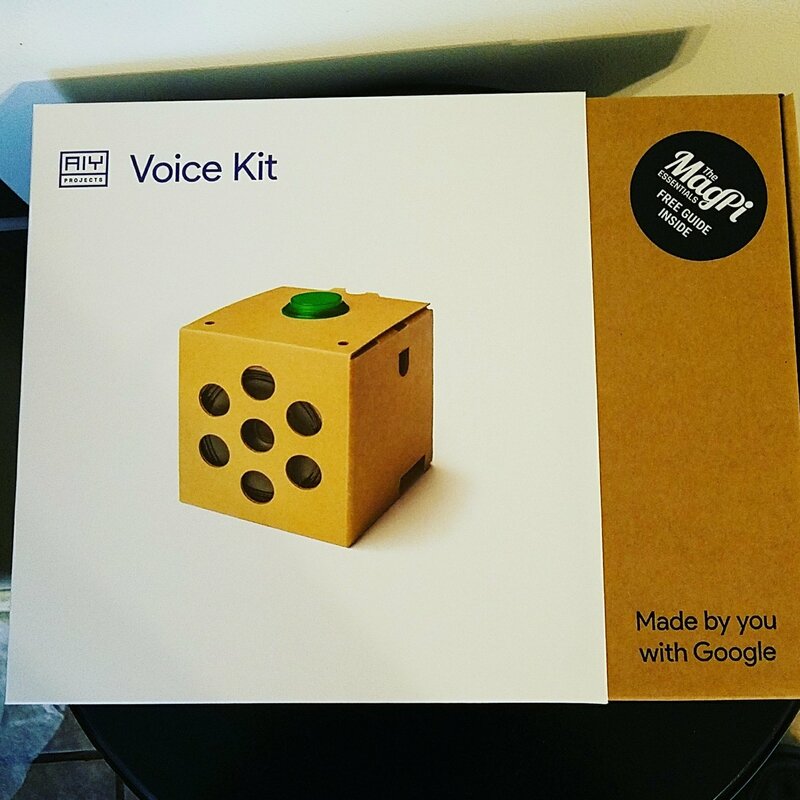 Yesterday I received my Google AIY Voice Kit from Micro Center via FedEx. This kit was from a pre-order I made over a month ago. This kit was originally shipped out with the Magpi issue 57. I did not have a subscription, so I wasn’t lucky enough to get one, even after checking with my local Barnes and Noble. I signed up to receive an email from Google to be notified when the kit would be available for pre-order. There were a limited number of pre-orders, so I chose to go with Micro Center online. I am glad I did, because they were very responsive in helping me find out when my kit would be shipped. Today I had a chance to put it together. 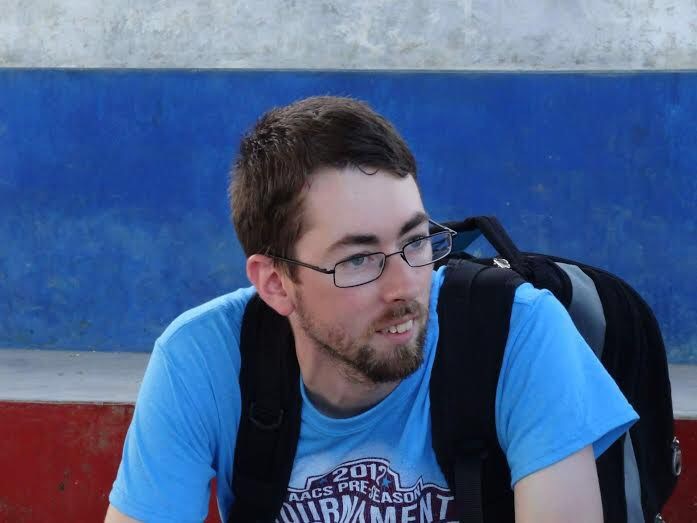 I am going to write about my experience with the kit. 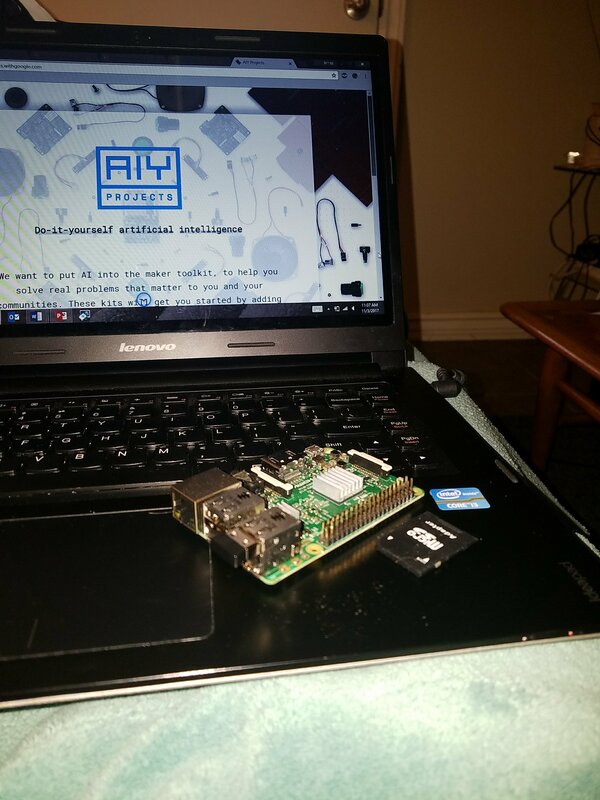 The first thing I did was grab a laptop, micro SD Card / Reader and download the aiy image from https://aiyprojects.withgoogle.com/. Next I powered down my Raspberry Pi 3 and unplugged everything. While I used Etcher on Windows 8 to write the image to the Micro SD Card, I began to assemble the kit. Putting the pieces together was pretty simple. I had the Magpi Magazine that came with the kit and I had seen enough YouTube videos to figure it out. 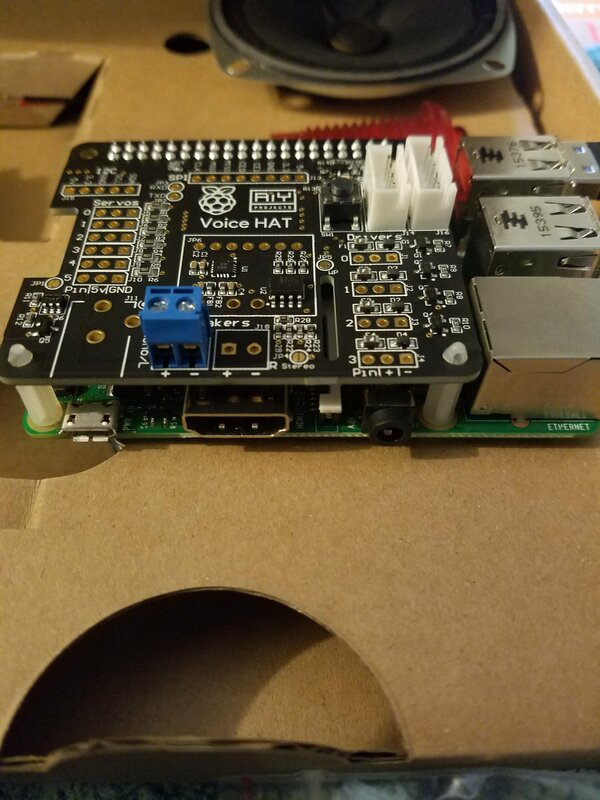 Getting the Voice Hat onto the Raspberry Pi took some force using the clips that came with it, as well as getting the hat pressed down on the GPIO pins. After that, it was a matter of getting the wires plugged into the voice hat and microphone hat. For the speaker, you need a very small Phillips head screwdriver. That was pretty simple as well. The hardest part was getting the inside part of the box to fit into the outside box. I ended up cutting off some of the cardboard and taped down the bottom but all is well now. 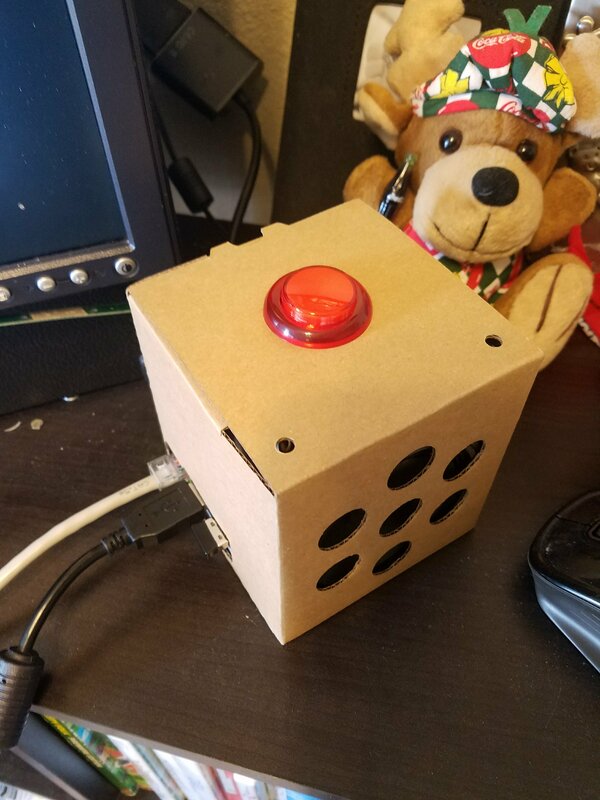 Once I had everything in the box, I taped the microphone hat onto the inside lid and wired up my push button with the guide in the magazine. Once I had the box put together, I was ready to insert my newly created SD card, plug up all the peripherals for power, mouse, keyboard and monitor. Once I powered on the Raspberry Pi, it took some time to boot up. I followed the instructions on the Google AIY website. It showed me how to test out the speaker and microphone, which worked perfectly. You can also test out the wifi and cloud. I’m plugged in directly to the router so I was good to go on the network. The next part was setting up the api. Some of the steps were tricky and I suggest that you follow them exactly as stated. The problem that I came across was when I downloaded the. Json file. It had you rename it, and then move it to your home. Pi folder. Put it directly into the home. 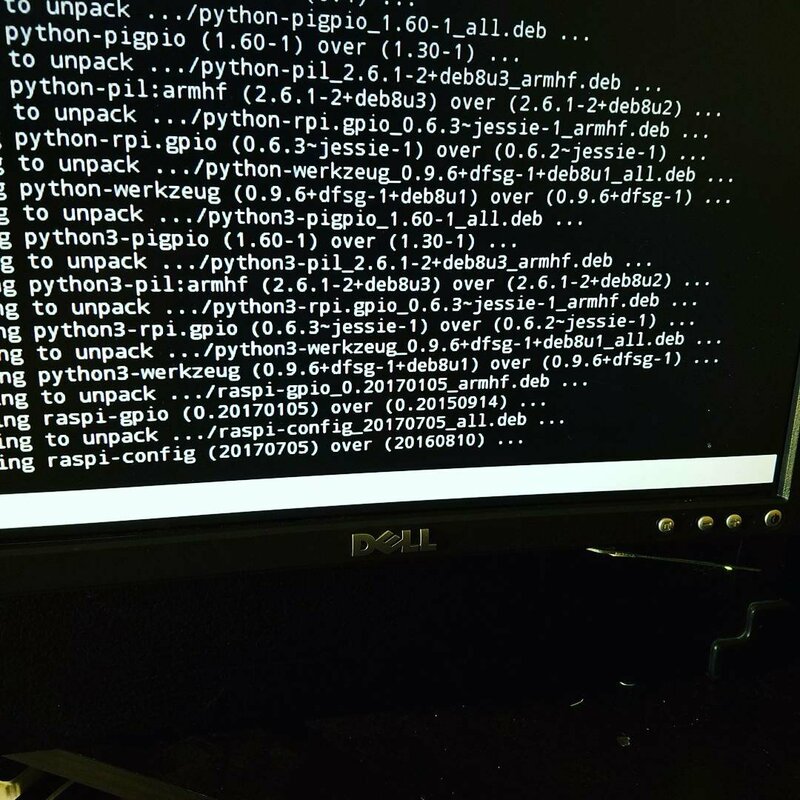 Pi that has everything in it, even non sdk files. I copied and pasted it in. You have to set credentials and enable the Assistant api as well as enable certain features in your Google activity settings. Again I suggest you follow the link https://aiyprojects.withgoogle.com/ for all of your needs in getting set up. Once I had all of the settings in place, I was able to run the demo in the dev terminal. You can choose to run code to activate it by saying “OK Google” or use the push button. I tried both, but ended up going with the code word. Right now my kit is running in demo mode so I am connected to the monitor running the dev terminal. You can set up cloud speech api, I will probably do that later. It requires billing if you use it for more than the allotted time in a month. I am using my kit to ask basic questions, as well as having it set an alarm and give recipes. You can do a lot with this kit. I would suggest that you search videos on YouTube to see what others are doing. I will leave some helpful links below as well as videos I made. 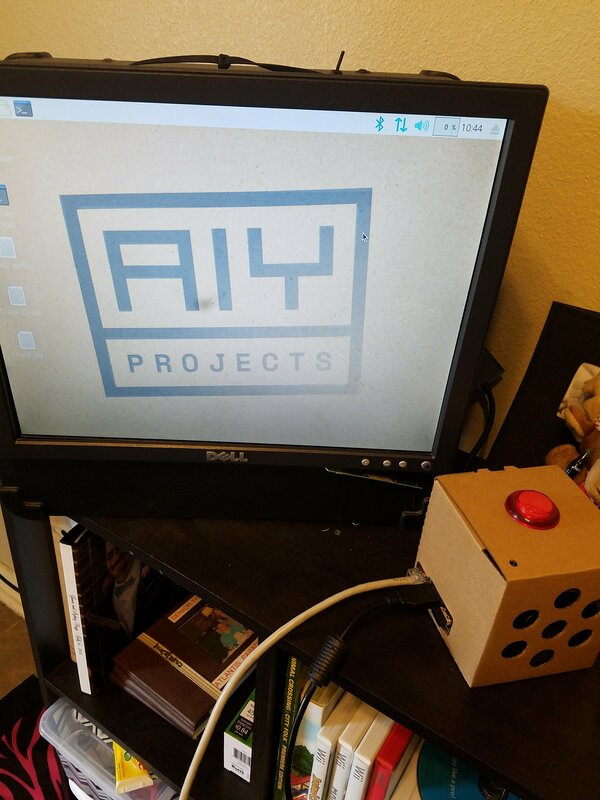 GOOGLE AIY VOICE KIT SINGS SONG! I hope that you enjoy seeing some of the things this kit can do, and hope that you are able to get your own. AirPiZero. 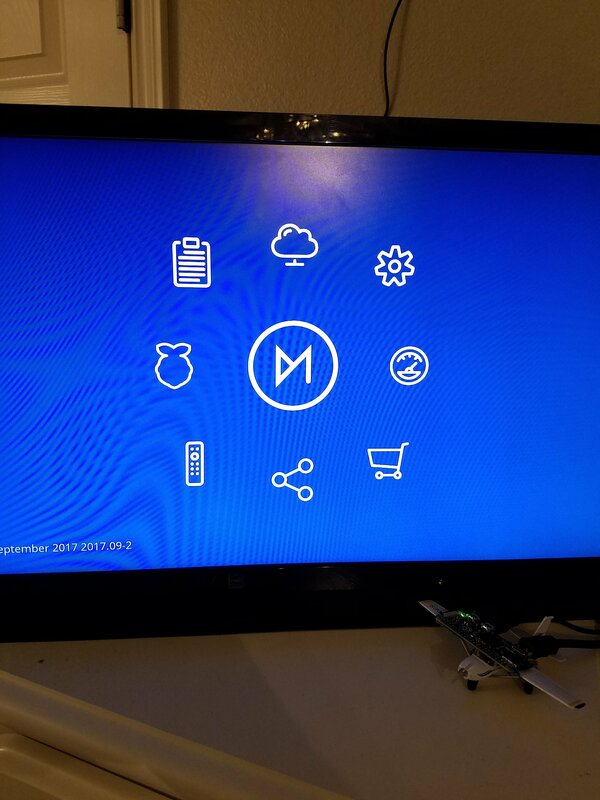 Kodi Media Center on the Raspberry Pi Zero. 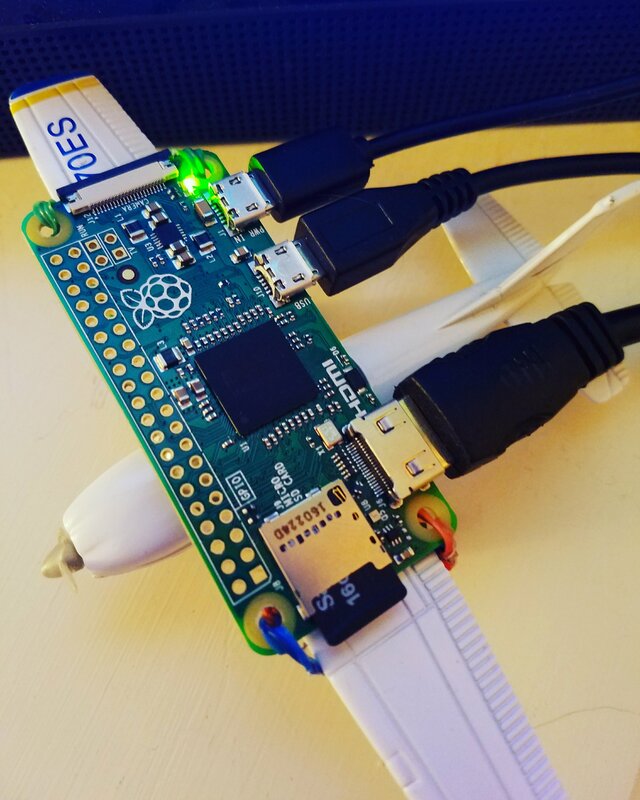 I’m calling this project “AirPiZero” because I finally settled on what I wanted to use to mount my Raspberry Pi Zero. I have tried several different types of cases from projects that I have disassembled, but I landed on this little Cessna 172 model that I purchased years ago. It was my favorite plane to fly when I moved to Northwest Arkansas nearly 10 years ago. 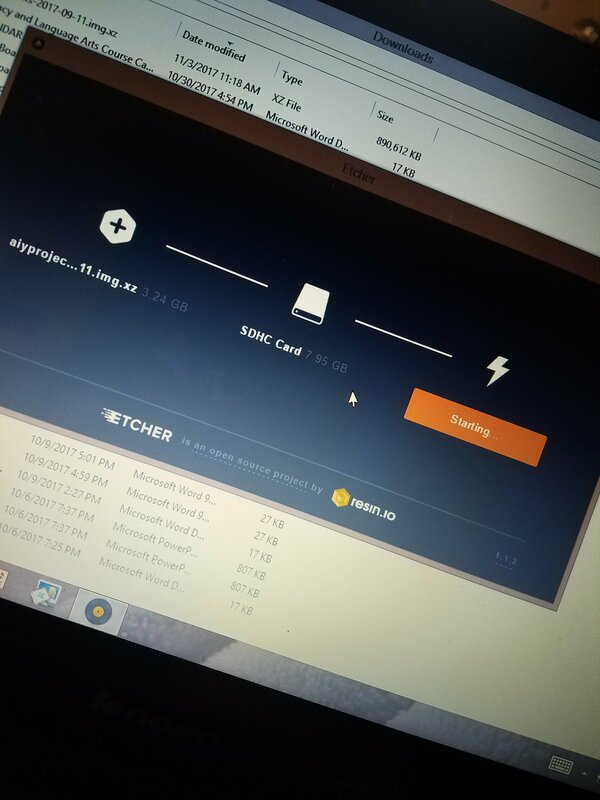 For this project I am running an updated version of Kodi, OSMC Media Player that I wrote to a 16gb micro SD card. 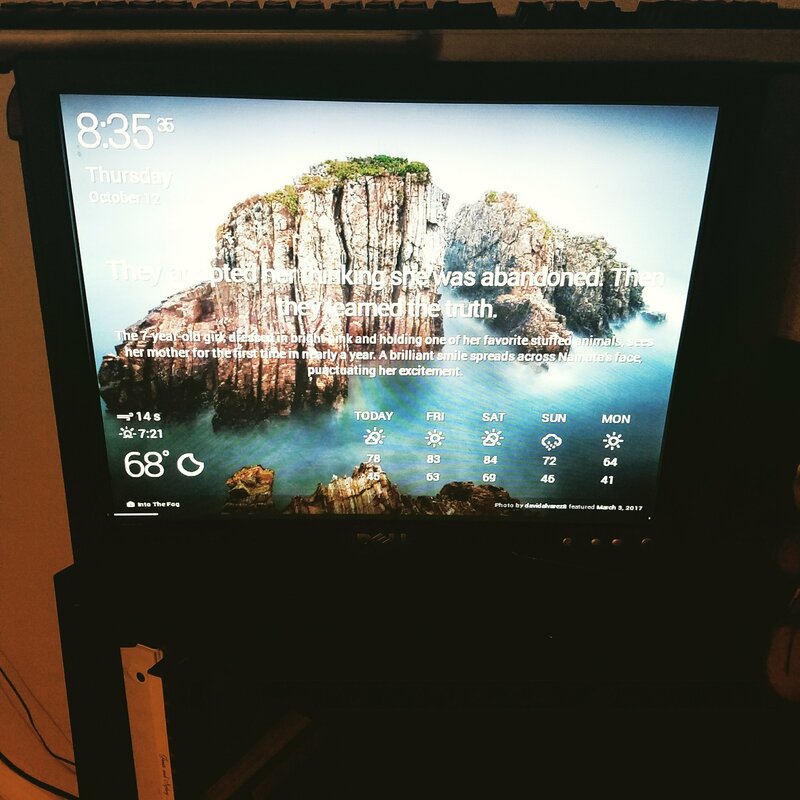 I mainly use Kodi for watching Apple Byte and DIY Network as well as displaying the weather. 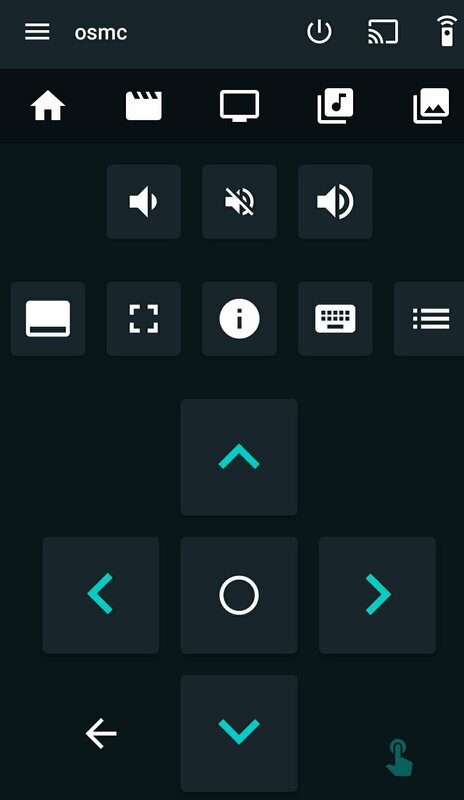 To control Kodi, I downloaded Yatse from the Google Play Store. Getting set up was pretty easy, I wrote the image on this SD card back in February and used it for a little while, but put it away until about a month ago. My first project with this Raspberry Pi Zero was Retropie, but I wasn’t very impressed after I got it. I was later given a Retropie Arcade using a Raspberry Pi 3 and I enjoyed it quite a bit. I wanted to use the Pi Zero for minimum use and Kodi has been a great option. The connections that I use are a usb hub, that I have a Wi-Fi dongle connected to, a micro USB adapter plugged into the hub, micro USB for power and a really long mini HDMI cable to my Vizio Flat Screen. I had most of the peripherals lying around the house, so the cost of this project was pretty cheap. I really only purchased the Raspberry Pi Zero and HDMI cable online. 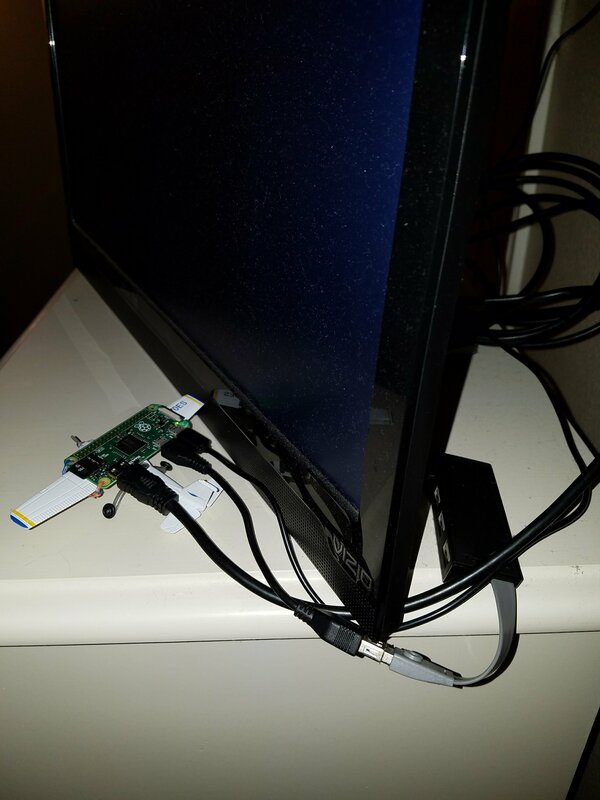 I am still in the process of testing it out, but found out last night that the Pi struggled to keep up after about 20 minutes of watching a DIY Network show. It lagged in the first 5 minutes, then played really well, but eventually stopped playing. I keep this Pi upstairs, which is away from the router so that could have a factor as well, but it’s probably more of an issue with the SD Card and Pi itself. I will test out more shows later on and update if it gets better. This has been a neat little project for such a cheap computer. I’m not sure if I will use the Raspberry Pi for something else or keep it, but I do enjoy it for sure. I will leave the links below for Kodi OSMC and Yatse. Let me know if you decide to create a Kodi Media Player with your Raspberry Pi Zero. I was looking for a different browser to install on my Raspberry Pi 3, and came across Ice Weasel, which actually turned out to be Firefox when I installed it. 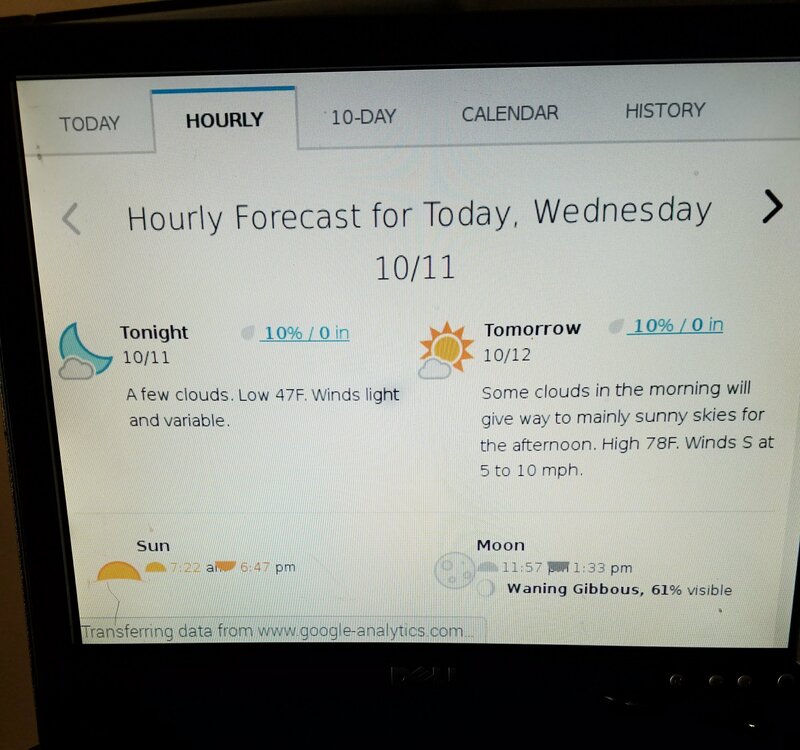 I was looking for a browser that I could use in full screen mode to display a Weather Dashboard like Weather Underground or DakBoard. The update process took around 30 minutes to complete. In the terminal I typed in the following code. After the update was complete, I was ready to install Firefox. Again, I typed in the following code. Once Firefox was installed, I opened it up, I was greeted with an update page, but after the installation, normal updates didn’t appear. Another reason I wanted to try a new browser was to run Netflix, because WideVine isn’t available for Chromium. Netflix said I needed the latest version of Firefox, but at this point I still haven’t gotten it updated. I did enjoy using Firefox in full screen mode for Weather Underground, although it was slower than Chromium, I find it an easy to use browser. 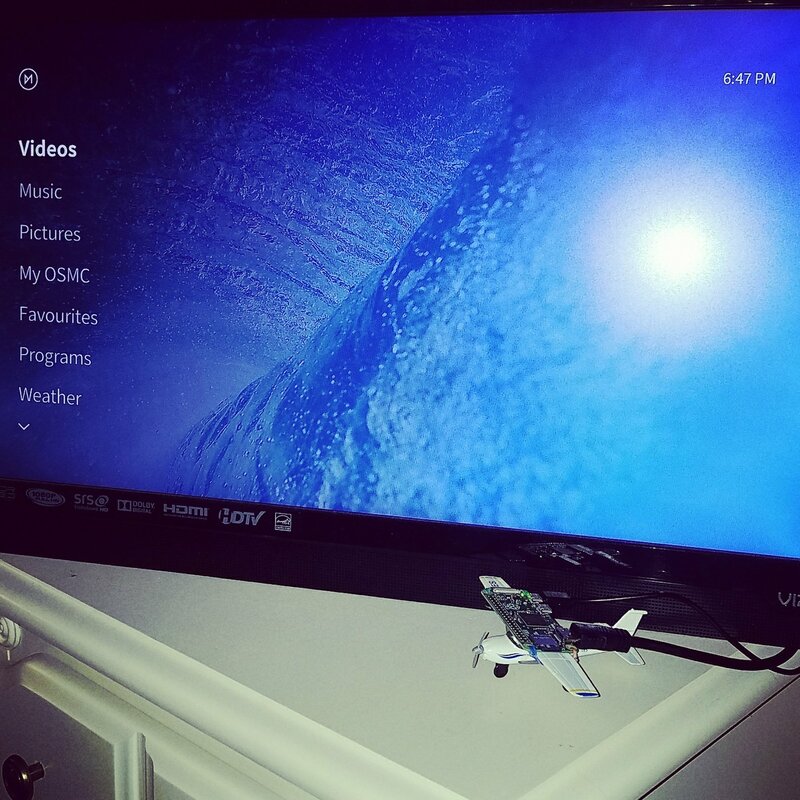 The Raspberry Pi 3 is mainly used as a Digital Picture Frame and for casting videos via the Raspicast app. I have another tutorial on how to use the Raspberry Pi 3 as a Chromecast Alternative. I will update if I find out how to update for Netflix. If you install Firefox on your Pi, let me know what you enjoy using, and if you like it over Chromium. 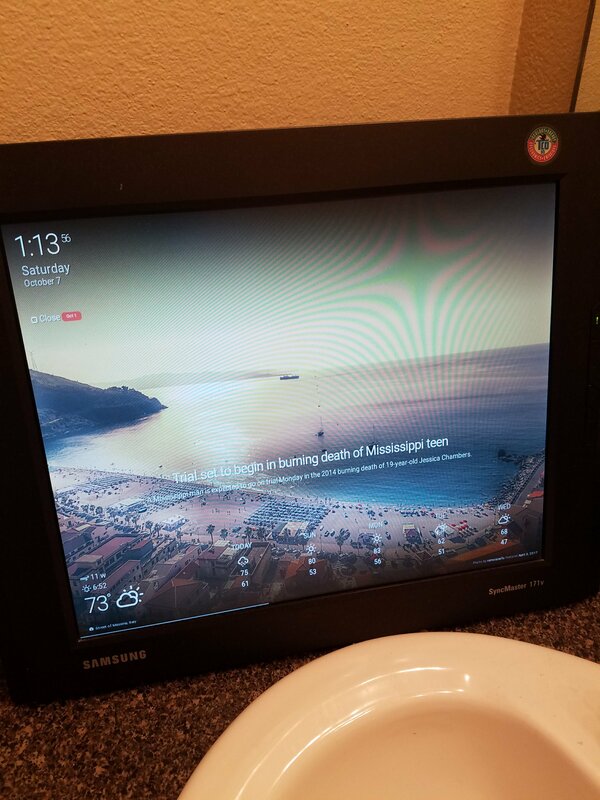 I’m not completely sold, but even using DakBoard in Kiosk Mode would convince me to keep it. 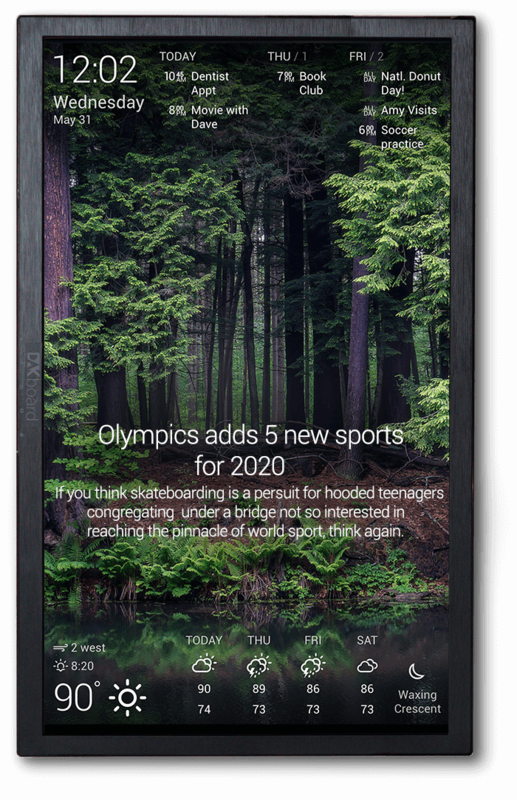 The DakBoard is a fairly new product that was designed to give you a family style dashboard for displaying photos, news, weather and calendar updates. You can purchase your own DakBoard on their website or build your own using an old monitor and a Raspberry Pi. I chose to use an old laptop that I installed a Linux Distribution on and an existing monitor that I took off its stand. This was a fairly simple process. The main objective was to get rid of Windows 7 and install Linux Mint, I’m running Cinnamon. I used several tutorials I found searching Google. The first thing I did was try out the Linux Distro by creating a boot drive. Eventually I liked it enough that I erased Windows and installed Linux Mint. I would suggest that you Google ways to create a boot drive, and or install Linux directly onto your laptop. It can be a time consuming process. As you can see above, that is the finished product. But how can you get DakBoard once you have the Linux installed? I simply went to the DakBoard website on Chrome and signed up for a free account. Once you are logged in, you have the option to set up which RSS news feed you want, photos to display, weather feed and of course getting your schedule to display. 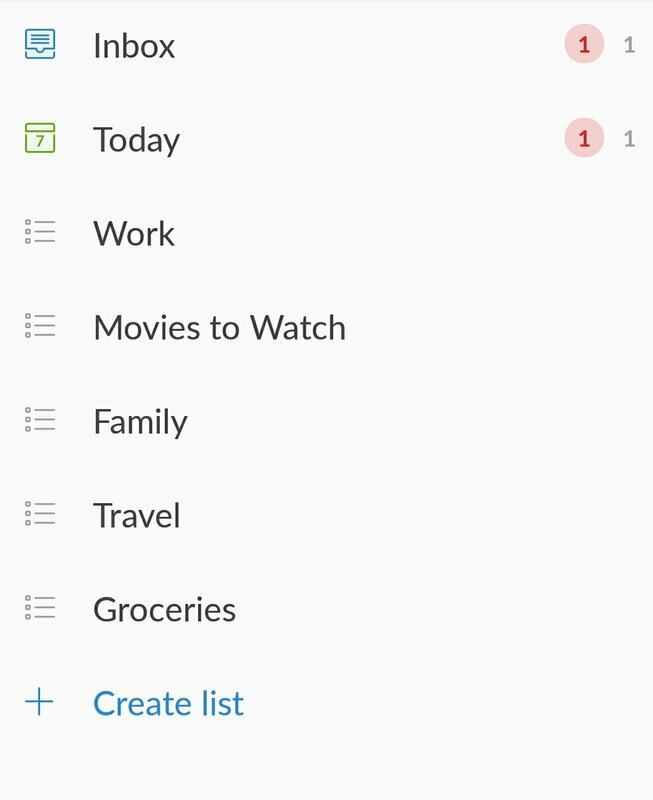 That is where you need to download Wunderlist, I got mine from the Google Play Store. In this app, you can create your own events that you want displayed on the DakBoard, just make sure to include your account settings in your DakBoard account. By having this app installed, you can easily update, and delete old events. This is great for on the go, because you don’t have to be on the same wireless network. When your DakBoard updates, it will post your new content. Sydney loves that I use this, because she can easily find out my schedule in the morning when she leaves for work. The thing I love most about the DakBoard website, is that I can login on any device, specifically my Wall Mounted iPad in the bedroom, or my new Raspberry Pi 3 Box Project that I just created. It’s simple, there’s really no difficult process, other than getting the Linux installed, and I only did that because my laptop was old and barely working on Windows 7. As long as you have an updated version of Chrome, it’s pretty easy to get started. My monitor is vga, so I just plugged it in to the laptop and power supply. I had to go into the settings to be able to use it while keeping the lid closed, again I would search for ways to do that. Once you get that done, you can just plug in a keyboard and mouse and edit your settings on DakBoard in Chrome, as well as going full screen mode so that the entire monitor is filled with DakBoard. Unplug your mouse and keyboard and continue to update your settings on a mobile device. Every time it refreshes, you will see new content that you want displayed. I like this way of using a DakBoard because I don’t like hanging things on the wall, and I didn’t have an extra Raspberry Pi lying around. I enjoy using old electronics for new projects and this is one of my favorites. It’s simple, doesn’t take up much room and is easy to update every week. 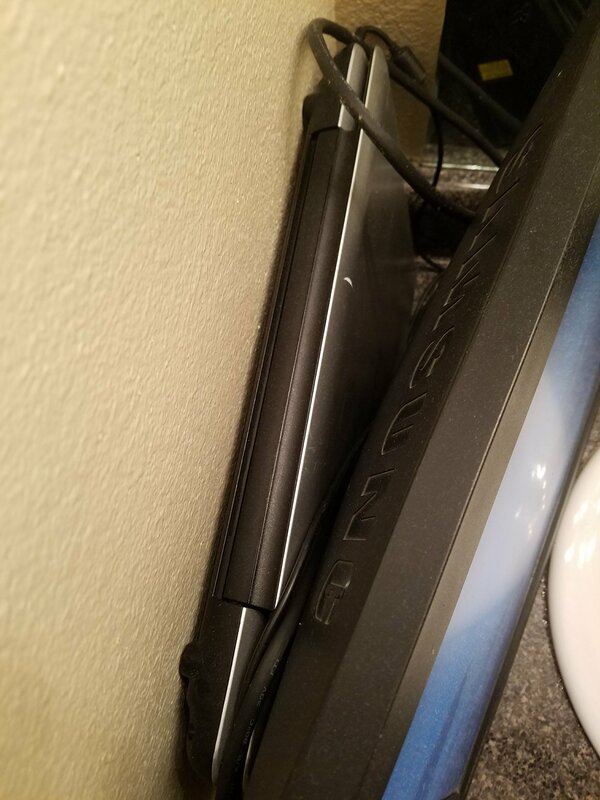 There’s no need in taking apart the monitor, trying to tape the Raspberry Pi and other peripherals onto the back and then creating a frame around it. If you are interested in purchasing your own DakBoard, I will leave the link below. Let me know what you create with DakBoard.